Etsy Connector extension integrates Magento 2 store with Etsy store. With the help of this extension, the store owner can sync hundreds of products, categories, and orders from Etsy store to Magento 2 store. It also allows exporting of products from Magento 2 to Etsy store as well. Import Etsy products – active and expired. Export all or selected Magento 2 products to Etsy listing. Supports mapping of products with variations and options. Map Etsy categories with Magento categories. Mention Etsy variation and specification in products. Select default web-site for importing products. 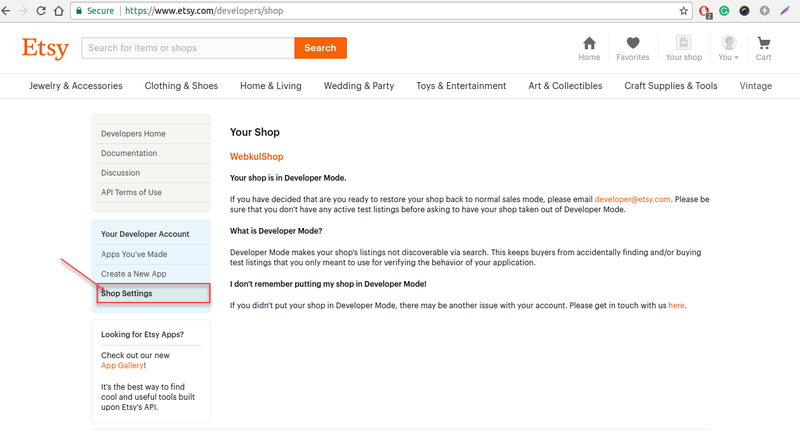 Navigate to etsy.com/developers and click on the Register link as shown in the snapshot below. 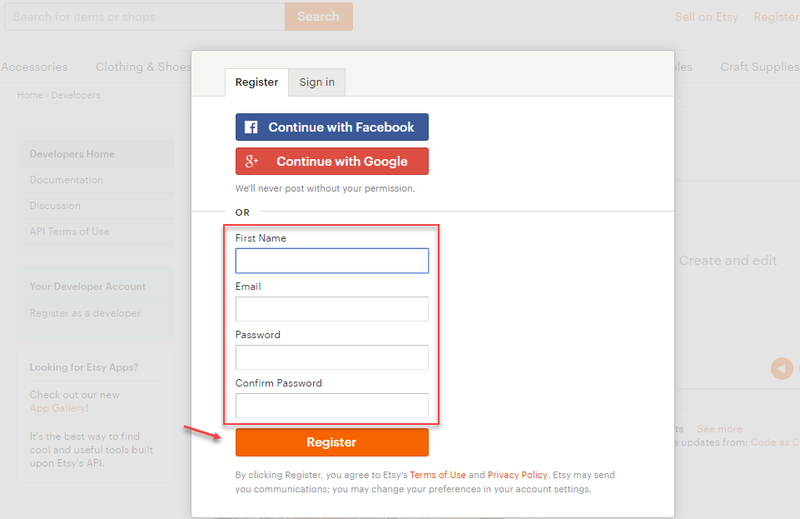 Now on the pop-up, you can choose to register using your social account or enter your first name, email address, password, reenter the entered password, and lastly click the register button to register. After registering in the previous step, click the Register as a Developer menu link. Here, you will have to verify the email address that you entered while registering and enable the Two-Factor authentication before creating the API key. Step 1: Click the Two-Factor Authentication link as shown below in the snapshot. Step 2: This brings up the Security Settings section. Here, click the Enable button to enable two-factor authentication. Step 3: Now, enter your mobile phone number with the correct country code and select your Confirmation type as – SMS/Text Message or Phone Call as per your feasibility and click Confirm Phone Number button. 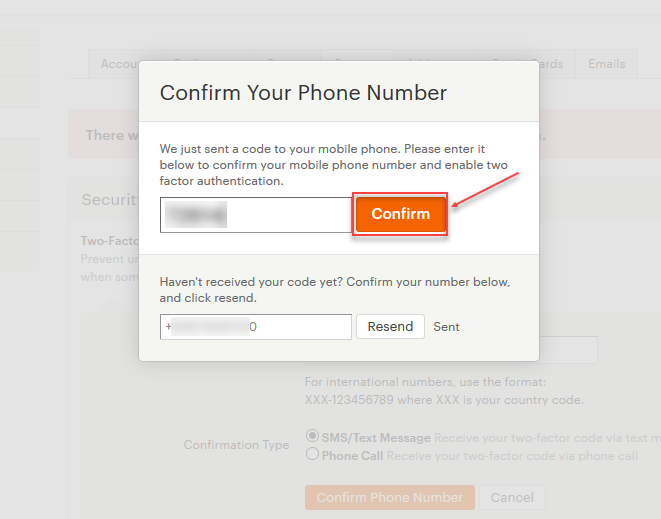 Step 4: This brings up a popup to enter the two-factor code, enter the code and click the Confirm button. You will also be able to backup codes(to sign in) that can be used to login in case you don’t have the mobile phone along. You can see the Two-Factor Authentication is now enabled. After verifying the email address and setting up the Two-Factor Authentication now you can go back to the Register as Developer section. Here, enter all the related information on the page to create the app. Now, click the Read Terms and Create Appbutton. 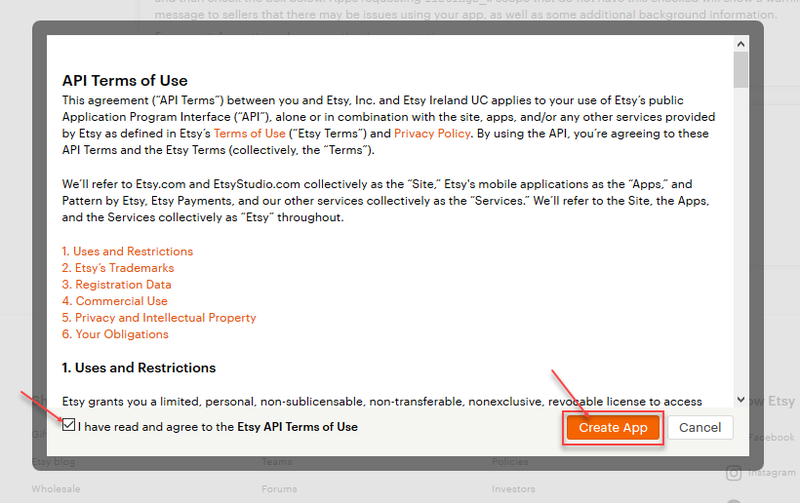 This brings a popup to accept the API agreement. Here check the agree to the terms and conditions checkbox and click the Create App button. This creates the app and you get the Consumer Key(Key String) and the Secret Key(Shared secret). lastly, you need to have a Shop name(required for module configuration). To create one go to the Shop Settings menu link and create one. Here, you can see the shop name as WebkulShop. After the installation, the admin needs to do the following configuration for the Etsy Connector. Go to Stores>Configuration>Webkul>Etsy Magento Connect. Oauth Consumer Key – Enter consumer key generated from the new app. Oauth Consumer Secret – Enter the consumer secret generated from the app. 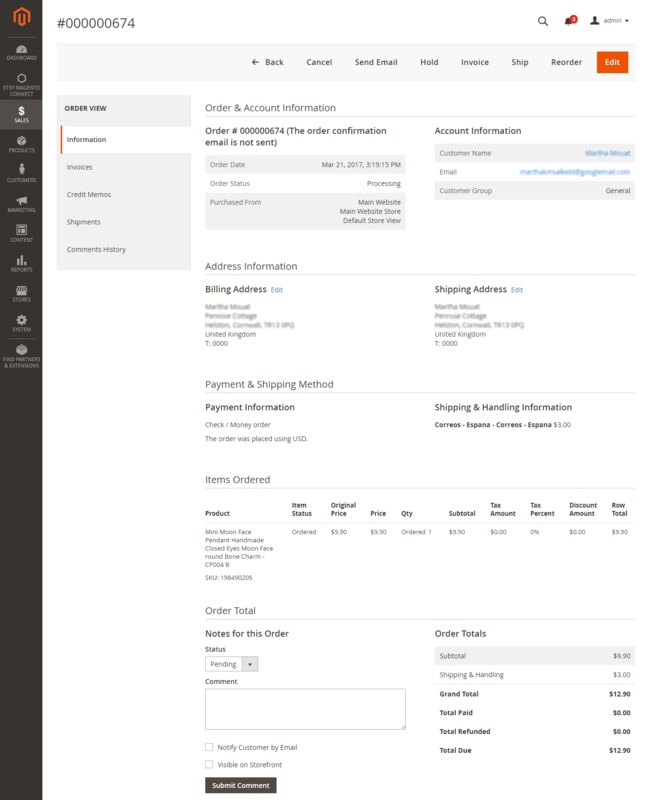 Etsy Imported Order Status – Set default status for orders imported from Etsy store. The selected order status here will become the Etsy order status in Magento. Default Website – Select the default Magento 2 website where all Etsy products will be assigned. After configuring the module, the admin needs to add a new Etsy seller account details. Please go to Etsy Magento Connect>Etsy Account Manager. The following page will appear, click Add Etsy Seller Account to enter new account details. Actions – To delete an account please use Actions menu. Edit – Click Edit to manage the Etsy account and do synchronization of products and orders. After clicking the Add Etsy Seller Account button, the following page will appear. Now, the admin needs to provide the following details. Etsy Store Name – Enter the store name of Etsy. 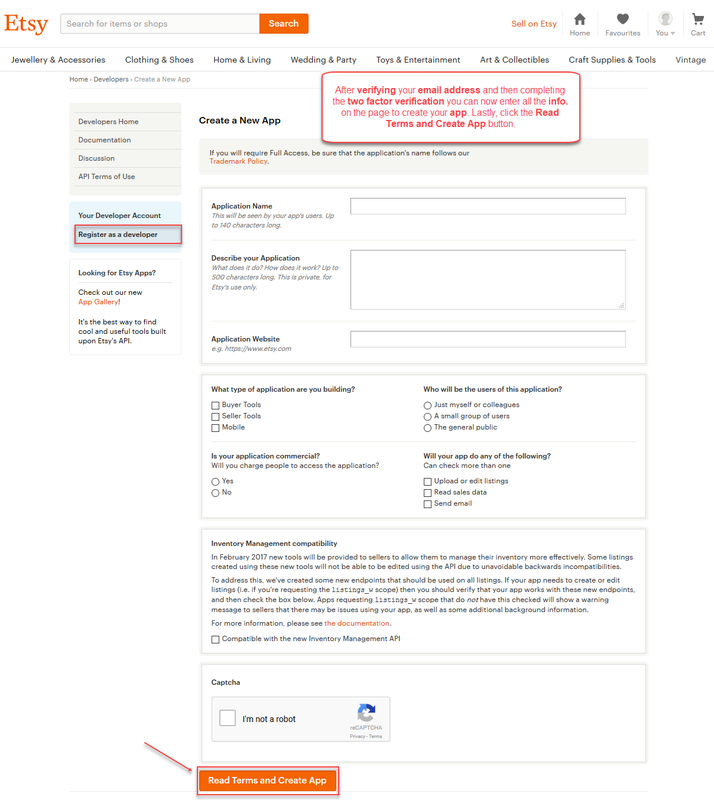 Attribute Set – Select the default attribute set for the Etsy product import. When the admin enters the credentials in the module configuration, it needs to authenticate its account information. Please go to Etsy Magento Connect>Etsy Account Manager>Edit. 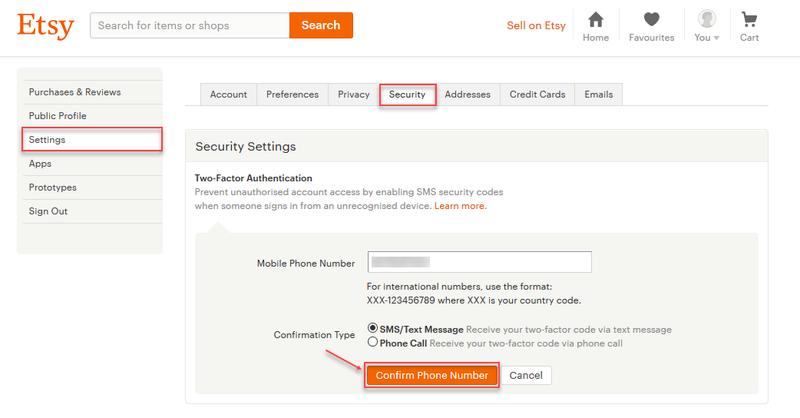 In the Etsy Account Info section, click Authenticate button, the page will be redirected to Etsy Seller website where the admin needs to validate its login credentials. After successful validation, the details will appear as visible in the screenshot. Default Shipping Template – Select the shipping template for the Magento 2 exporting products. After entering the Etsy seller accounts details, the admin needs to map the correct Etsy category with Magento category. So that after importing the products from Etsy, they’ll be added to the correct Magento category. Now, to map the categories please go to Etsy Magento Connect>Map Category. The following page will appear showing all the mapped category records. Map New Category – Click this button to do mapping of new Etsy category with Magento 2. First, select the Magento Category and then select the Etsy Category. Please note that you need to map the sub-category of Etsy with a sub-category of Magento. Click Save Map Record to save your changes. For importing products from Etsy listings to Magento 2 store, please go to Etsy Magento Connect>Etsy Account Manager>Edit>Product Sync. The following page will appear, showing all the synchronized products information of the stores. It will show both imported as well exported products. All the basic information about the products such as name, price, images, description, stock, tax, weight etc will be imported as well as exported with the products. Etsy product variations will be converted into custom options in Magento 2 store. Step 1 – Etsy Product Status – select the type of Etsy products to import – Active or Expired. 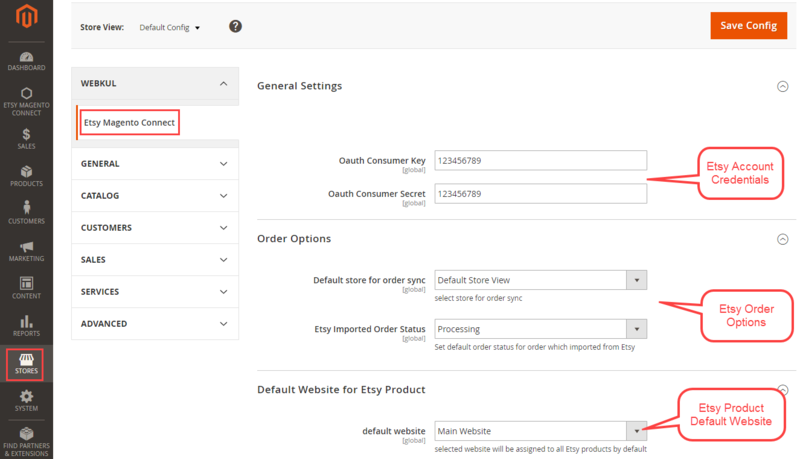 Step 2 – Import Product From Etsy – click this button and a small pop-up window will appear after importing products from Etsy, click OK. Then, run profiler for adding Etsy imported products to Magento 2 catalog. Step 3 – Create Imported Products in Store – Click this button to run profiler and create imported products entries to the catalog. The execution process will show the progress of product creation. Actions – Use this option to Assign imported products to the category. Use Delete option to remove the mapped record entries from the list. First, select the products from the list and then go to Actions drop-down menu and select Delete option. Click Submit to delete the selected products from the list. If the imported products are appearing in the wrong Magento 2 category, the admin can assign those products to the correct category using this option. First, select the products from the list and then go to Actions >Assign to Category. Then, select the correct Magento 2 category from Assign to category option and click Submit button. Now, for importing orders from Etsy, please go to Etsy Magento Connect>Etsy Account Manager>Edit>Order Sync. The following page will appear showing all the imported orders from Etsy store. Note – A cron is set which automatically imports all the orders from Etsy to Magento. Step 1- First, click Import Order from Etsy button, then a pop-up window will appear for selecting the order date range. Otherwise, tick the option Import Store All Orders for gettings all Etsy orders. After that click Import button and go to Step 2. 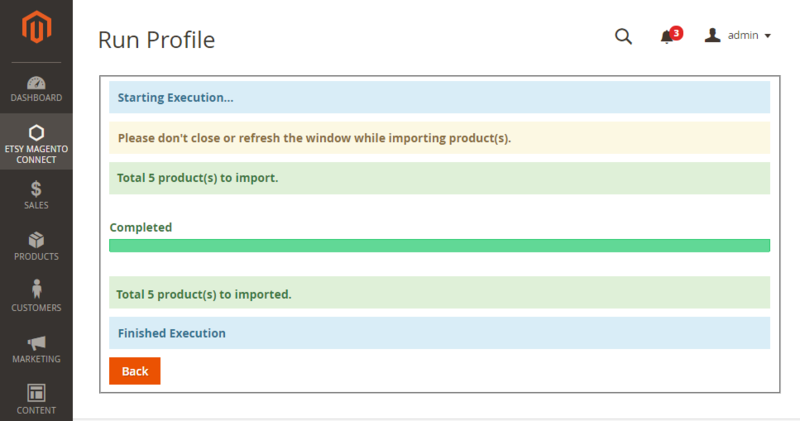 Step 2 – click Create Imported Order button, the order profiler process will run showing the importing process result. All the order information will be imported to Magento 2 store. After importing the orders from Etsy, they’ll be added to Magento 2 orders. To view Etsy orders please go to Sales>Orders. Please view the below sample order imported from Etsy store. Delete – To remove the imported order entries from the list, first select the orders, then go to Actions>Delete and click Submit button. For exporting products from Magento 2 store to Etsy store, please go to Etsy Magento Connect>Etsy Account Manager>Edit>Export to Etsy. Here all the Magento 2 store products will appear in the list. Step 1 – First, select the products to export using the check box option. 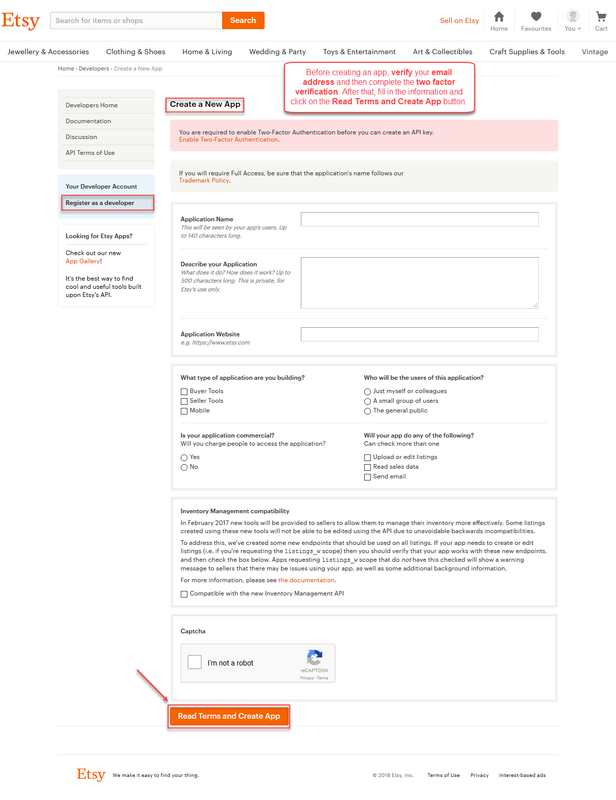 Step 2 – go to Actions>Export to Etsy and click Submit. The profiler will run showing the product export execution progress. After exporting the products, they will appear in the Product Sync list.